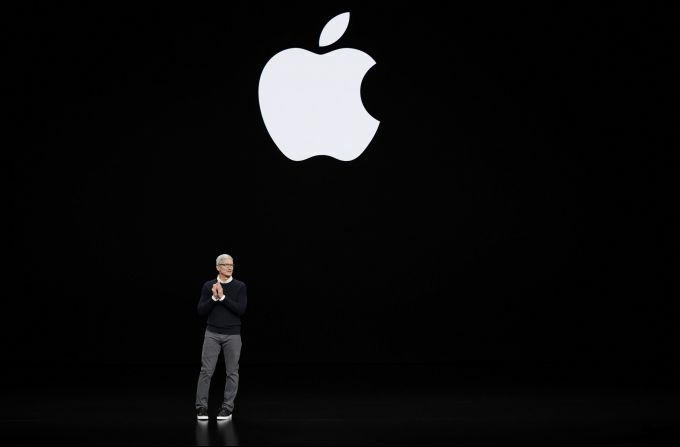 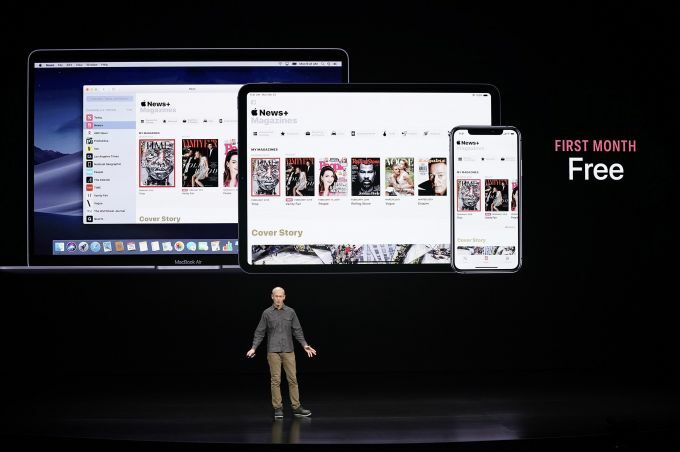 Cupertino: Roger Rosner, Apple vice president of applications, speaks at the Steve Jobs Theater during an event to announce new products Monday, March 25, 2019, in Cupertino, Calif.
Cupertino: Apple CEO Tim Cook speaks at the Steve Jobs Theater during an event to announce new products Monday, March 25, 2019, in Cupertino, Calif.
Washington: President Donald Trump and Vice President Mike Pence, greet Israeli Prime Minister Benjamin Netanyahu to the South Lawn of the White House in Washington, Monday, March 25, 2019. 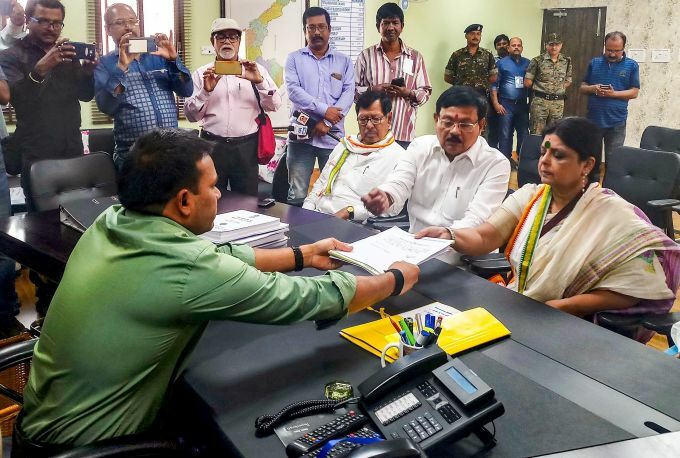 North Dinajpur: Congress candidate Deepa Dasmunsi files her nomination papers from Raiganj Constituency for the upcoming Lok Sabha polls in North Dinajpur district of West Bengal, Monday, March 25, 2019. 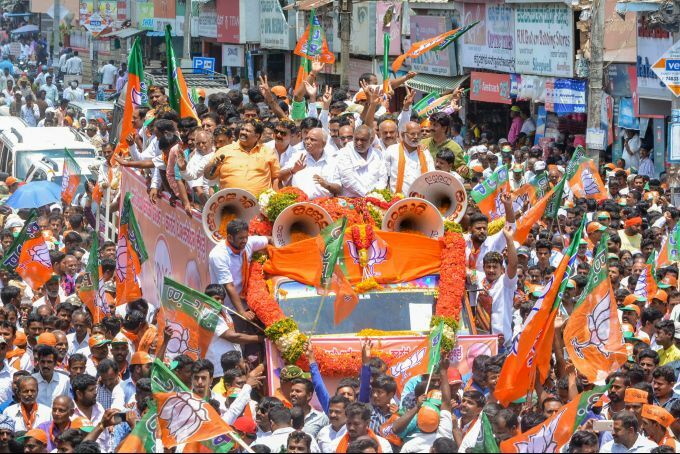 Hassan: BJP Harnataka state unit President B S Yediyurappa with Hassan Constituency candidate A Manju during a rally before the filing the nomination papers for Hassan constituency for the Lok Sabha Election 2019 in Hassan, Monday, March 25, 2019.